My job as a content designer is to make sure that information is clear and easy to understand. It’s also about giving people the information they need, at the point they need it and in the right format. I work on the Get your State Pension service which is the new way for people to claim their State Pension online. My work does not only focus on the online service. We are looking at the end-to-end journey for our users. Claiming a State Pension is more than just making the claim. It’s about finding out you’re eligible, making the claim and being told how much you’ll get and when. We are also now looking at automating processes such as calculating the pension, paying it and dealing with any future changes. Letters are a big part of this whole user journey. It is topped and tailed by 2 letters - an invitation to claim and one with details of the pension. Making sure that these letters are clear and easy to understand is just as important as the content in the online service. 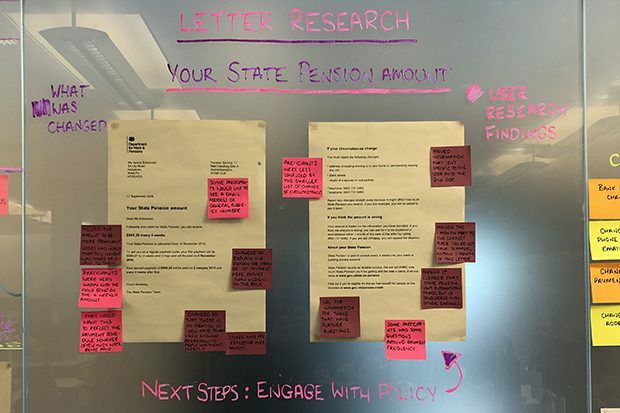 User research found that people expect a letter when they can get their State Pension. This letter is the main way that people find and enter Get your State Pension and so it’s important that it provides trust and explains what to do. The previous letter included a 12-page booklet which is now 2 sides. 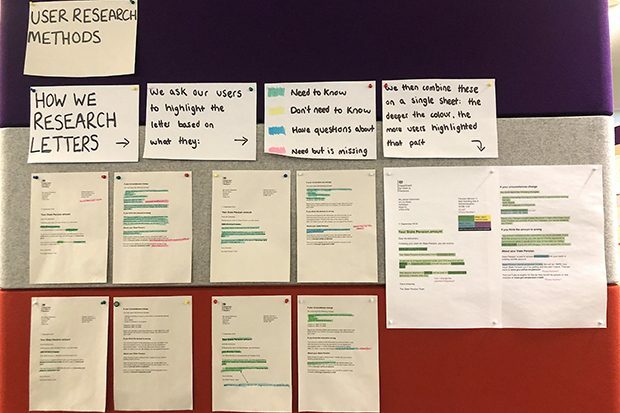 There are clear headings for people to find the information relevant to them. Once someone has claimed and their pension is calculated, they need to know what they will get and when. For this letter, we started with minimal information and built it up using highlighter testing. This helped us to identify what people felt was important, what wasn’t needed and what was missing. We are about to start sending this letter which is now only 2 sides - currently it can be up to 12 sides long. We have integrated with GOV.UK Notify to send our letters. 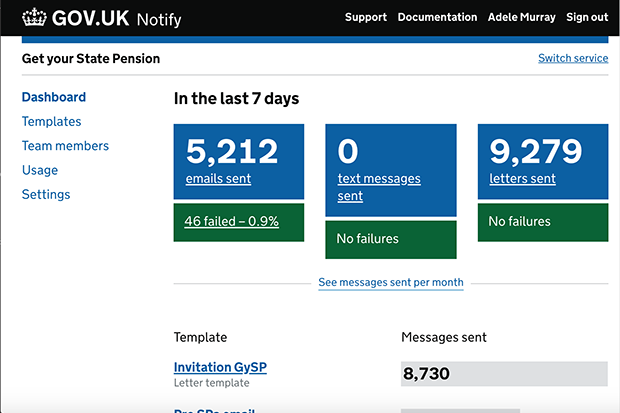 Get your State Pension was the first service to do this and we worked with the Notify team to meet our complicated requirements. These included a different logo in Northern Ireland and bilingual logo and content for people in Wales. Cross-government collaboration is vital for service teams to make multi-channel changes which benefit users. Our service creates and sends the letters automatically through Notify. And we can make content changes straight away based on feedback or policy changes, at no extra cost. We also use Notify to send confirmation emails when someone completes the service. The experience of getting a State Pension does not begin and end with the online service. We should design for the whole journey - both the online and offline parts. If we meet the needs of our users at all stages, then they will receive a good and consistent service that they trust.